Are you looking for an environmentally friendly way to travel around your locality or the last mile to work? If you are then this unique propane scooter called the ProGo 3000 mighty worth a little more investigation. 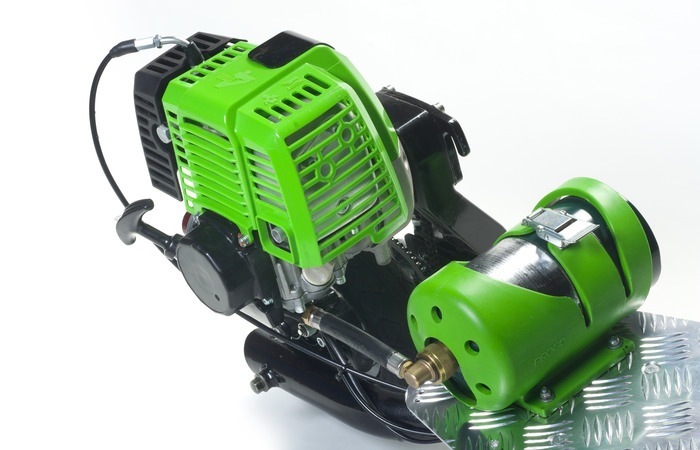 The ProGo 3000 propane scooter provides up to 2 to 3 hours of travel time from a single 16.4oz propane canister and requires no choke, no priming or a carburettor which could get clogged up. Learn more about this unique mode of transport in the video after the jump. The ProGo 3000 propane scooter is equipped with a 25cc 4-stroke engine that runs on propane gas and is capable of speeds up to 20 mph with a range of around 30 to 40 miles. 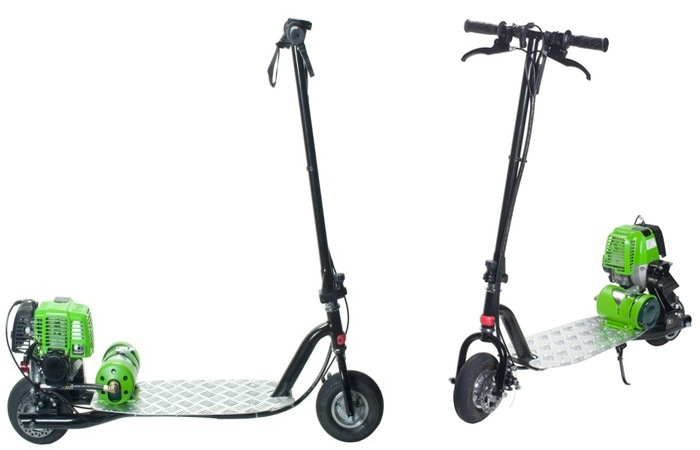 “Aside from all the advantages the scooter has from a small motor scooter standpoint, I would really like to point out one more very important aspect of this product coming to market. It will help build awareness of propane’s “clean and green” attributes. There are so many other propane products out there and we just hope this scooter, through the convenience and fun it brings, will inspire people to use more propane energy products. Propane is an eco-friendly choice you can make today. – Energy Efficient – Propane has a high energy density. Its unique, natural properties means it work harder and more efficient with less waste. – Clean – Propane is clean burning, non-toxic fuel that has both lower emissions and cleaner emissions compared to other energy choices. – Low Carbon Content – Propane has a low carbon content that not only makes it clean and efficient, but also low in greenhouse gases. So if you think ProGo 3000 is something you could benefit from, visit the Kickstarter website now to make a pledge and help ProGo 3000 become a reality.